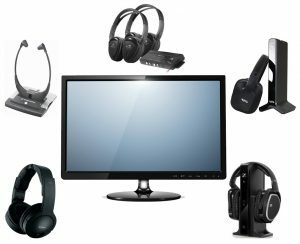 How do wireless television headphones work? Headphones come in different shapes, sizes and personalities. When it comes to watching TV, wireless headphones work a bit different from typical wireless audio solutions out there since many TV’s still don’t have Bluetooth. 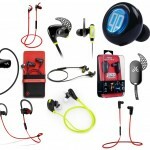 If you read our best wireless headphones article, many of those came with Bluetooth capability, and we’re sure you’re aware of the widespread of this technology; however, those models are more geared towards music headphones and popular consumer applications. As of now, the recommended connectivity for TV’s is still how old-school wireless headphones worked — via radio frequency aka RF module (a transmitter that hooks up to your TV and channels the sound to your headphones). 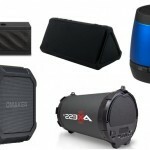 So why don’t TV’s have Bluetooth connectivity yet? We were asking ourselves the same thing. To put the reason simply — many Bluetooth headphones and other devices can’t last too long without having to recharge — they’re not great for long use. You also have to keep in mind (and this is a bit more technologically advanced) that the 2.4 Ghz band TV’s have is rather sensitive — if you have another device added, it could possibly break it permanently and you need to try to avoid crowding the wireless spectrum. To put it simply, Bluetooth is just too slow (in CNet’s How Do I Make My TV Bluetooth Enabled? there are a few suggestions for adding to BT to your TV, such as buying some adapters). 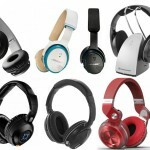 They’re not quite the same quality as studio headphones or even noise-cancelling headphones out there; however, those are a lot more expensive anyway. This is all for a reason — the frequency distribution of more costly studio headphones is a lot more advanced to help with sound accuracy with those who are super concerned with this (think mixing, mastering and recording music), where as noise-cancelling headphones are geared towards louder, outside environments and have some advanced internal builds to allow for this technology (upping the price as well). 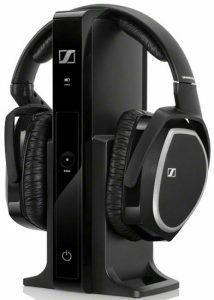 The Sennheiser RS 165 come to be our top pick for the best wireless TV headphones in the market today thanks to quite a few reasons. They have an excellent ergonomic design that will comfortably fit on your ears, come with two NiMH rechargeable batteries, top-quality internal build with higher-end transducers (and weigh about 11 ounces), and with their closed-back, circamural over-ear design, enable you to enjoy listening to your favorite TV shows or movies while reducing background sounds greatly. Since the RS 165 headphones are our recommended wireless connectivity, you can walk around to grab a drink or a snack without any negative effect on sound transmission quality (up to 30 m). Let’s not forget the fact that these headphones have a transmitter that will support even two headphone sets at the same time (since we know many who grab two at a time in order to watch with their partners\friends\family. The RS 165’s transmitter can also function as a docking station and a device that will quickly and easily recharge the headphones by setting them nicely atop the tower. They just don’t come with any color options. 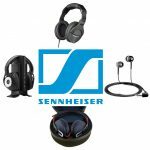 There are quite a few other versions in Sennheiser’s “RS” series, such as the RS 120 (a step down in terms of price and few more features\quality if you wanted to save some money) or their RS 185 (a step up in the same regard). The users reviews back this pick up, and if it’s within your budget, are highly recommended for those want some top-notch wireless TV headphones. 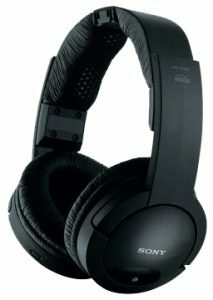 Up next, if you are looking for another pair of high-quality wireless television headphones that cost a bit cheaper than many of the Senny RS headphones, then Sony MDR-RF985RK is definitely another set to consider. Thanks to its solid bass and high-quality sound transmission, these wireless headphones will enable you to easily listen to your favorite television series or movie in a very enhanced way. They come with some pretty strong 1.57 inch drivers and it turns on automatically for convenient usage. Thanks to durable rechargeable NiMH batteries, you can experience great sound for as long as 25 hours without the need for recharging (and charging takes just 3.5 hours, so keep them on at night while they aren’t in use and you’re good to go). This headphone set comes with a wide and comfortable headband for added user comfort (it’s Sony, so we can definitely be confident when it comes to the overall build here — no cheap stuff). As long as there aren’t many things in the way, you have a wireless functionality of up to ~150 ft. away. A solid pair to make its ranks with the best wireless headphones for TV, especially if you wanted to save some money yet still grab a pretty high-end model in this category. 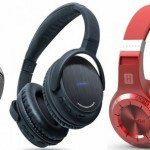 The Power Acoustik HP-902 RFT are some of the best wireless TV headphones out there within the lower price-point, and we’d say you should definitely grab this pick if you’re in need of two pairs of headphones since you’ll be saving some money with the package. 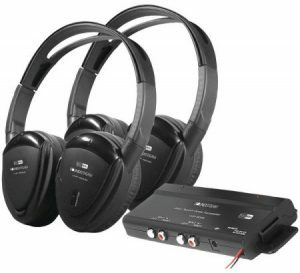 If you have several devices for entertainment, the HP-902 RFT will also be an excellent choice because it comes with a multi-functional transmitter (900 mHz) in the box (compatible with the two headphones that also come with it). Since these are pretty high-quality headphones, you can move away from the TV without any loss of sound transmission for up to 100 ft. Each pair of headphones also comes with independent sound controls and a selector channel switch. 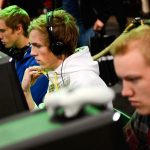 In terms of build, you have an adjustable headband and soft swiveling ear pads for added user comfort. There is also auxiliary sound input that directly connects to devices that have a headphone output. On top of it all, the HP-902 RFT comes with two rechargeable batteries for prolonged usage, without the need for frequent charging as long as you stay on top of it. Here’s another pair of the best wireless headphones for TV by one of our favorite brands. 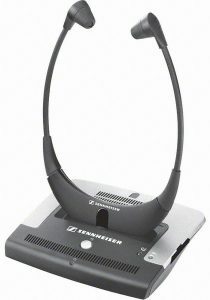 If you are looking for high-quality wireless TV in-ear headphones, then the Sennheiser IS410 is a great option to consider. They’re not too expensive as compared to other models in here (land within the middle) and they provide some very clear sound quality thanks to its overall infra-red build as well as excellent transmitter. There is also a possibility to connect two pairs of headphones if you plan on doing so, enable up to 12 m of distance, and the compression button further enhances sound quality. The IS410 are an excellent TV headphones solution since they also come with a convenient feature of automatically turning on and off when they aren’t in use. Thanks to its wide head band and soft ear pads, you can have some great comfort with no pain after extended use. There is also a nifty feature for balance control that enables you to individually set the sounds in the right and left ear. These are a plus if you wear glasses while watching television since the fit is a lot different from most traditional headphones out there (they go under your neck instead). 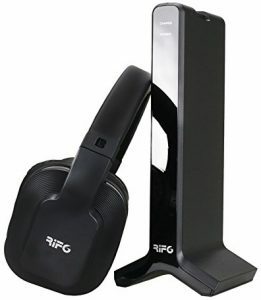 Last but not least, the RIF6 Digital Wireless Headphones are an excellent choice of headphones for television if you were looking for one of the cheapest pairs in the market we feel are worth looking at. Its 30 Hz to 20 kHz frequency response, 70 db signal to noise ratio, and total harmonic distortion of 0.5% ensure some surprisingly clear sound quality when it comes to specifications. The RIF6 come with two NiMH rechargeable batteries that will enable you to listen to television programs for as long as 20 hours before you need to recharge and the transmitter allows for wireless distance is around 100 ft away. To highlight the build, they’re quite comfortable since the set is lightweight, comes with an adjustable head band and soft ear pads for added user experience. They work with Smart TV’s as well. Grab this pair if you’re on a strict budget.